The Foxe & the Hound was truly amazing and I absolutely loved Adam and Madeleine’s story! This was my second novel by R.S. Grey and it has definitely been my favorite so far. She kept me extremely entertained throughout and I loved her writing style. I don’t often read romantic comedy, but The Foxe & the Hound was very well done, and I lost count of how many times I laughed out loud. I loved the unique storyline and characters and couldn’t wait to read more. I adored Adam and Madeleine and immediately fell in love with them and their story. I loved their personalities and chemistry together, and how their relationship progressed throughout. They certainly didn’t start off in the best way, but I thoroughly enjoyed going on their journey with them. Adam and Madeleine were frustrating from time to time, but I ultimately loved the dynamic of their relationship and couldn’t help but be highly entertained by their banter and interactions with each other. I loved reading the story from both Adam and Madeleine’s POV, and I was very happy to see what each character was thinking and feeling. I love dogs so much and I really enjoyed the addition of Madeleine’s dog, Mouse; he was so adorable and I loved his entertaining antics. I also enjoyed getting to see some familiar faces in Hamilton, Texas from Anything You Can Do. Even though I didn’t love that book nearly as much as I did The Foxe & the Hound, I liked getting updated on Lucas and Daisy’s life and relationship. The Foxe & the Hound was highly addicting, humorous, and romantic, and I loved reading every single page of this book. 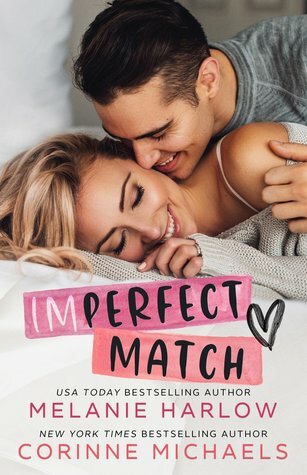 Everything was nearly perfect, and although I would have loved something more at the end, I was quite satisfied with the conclusion to Adam and Madeleine’s story, and I am very much looking forward to reading more romantic comedies by R.S. Grey! FIVE “Adam & Madeleine” STARS!